Cornelius Eady was born in 1954 in Rochester, New York. He is the author of several books of poetry, including the critically acclaimed Hardheaded Weather (Penguin, 2008), which was nominated for an NAACP Image Award. His other titles are Kartunes (Warthog Press, 1980); Victims of the Latest Dance Craze (Ommation Press, 1986), winner of the 1985 Lamont Prize from the Academy of American Poets; The Gathering of My Name (Carnegie Mellon University Press, 1991), nominated for the 1992 Pulitzer Prize in Poetry; You Don’t Miss Your Water (Henry Holt and Co., 1995); The Autobiography of a Jukebox (Carnegie-Mellon University Press, 1997); Brutal Imagination (Putnam, 2001); the mixed media book/cds Book of Hooks (Kattywompus Press, 2013); Singing While Black (Kattywompus Press, 2015), and The War Against the Obvious (Jacar Press, 2018). His work appears in many journals, magazines, and the anthologies Every Shut Eye Ain’t Asleep, In Search of Color Everywhere, and The Vintage Anthology of African American Poetry, (1750-2000) ed. Michael S. Harper. With poet Toi Derricote, Eady is cofounder of Cave Canem, a national organization for African American poetry and poets. He is the recipient of an NEA Fellowship in Literature (1985); a John Simon Guggenheim Fellowship in Poetry, (1993); a Lila Wallace-Readers Digest Traveling Scholarship to Tougaloo College in Mississippi (1992-1993); a Rockefeller Foundation Fellowship to Bellagio, Italy, (1993); and The Prairie Schooner Strousse Award (1994). In June 1997, an adaptation of You Don’t Miss Your Water was performed at the Vineyard Theatre, in New York City. In April 1999, Running Man, a music-theatre piece, co-written with jazz musician Diedre Murray, was a finalist for the Pulitzer Prize in Drama and awarded a 1999 Obie for best musical score and lead actor in a musical. In January 2002, a production of Brutal Imagination (with a score by Diedre Murray) opened at the Vineyard Theatre, where it won the 2002 Oppenheimer Award for the best first play by an American Playwright. Eady has taught poetry at SUNY Stony Brook, where he directed its Poetry Center; City College; Sarah Lawrence College; New York University; The Writer’s Voice; The 92nd St Y; The College of William and Mary; Sweet Briar College; and The University of Missouri-Columbia. He a professor in the MFA program at SUNY Stony Brook Southampton. In most of Eady’s poems, there is a musical quality drawn from the Blues and Jazz. Indeed, many of his poem titles allude to traditional African-American hymns and modern musicians such as Thelonius Monk and Miles Davis. In You Don’t Miss Your Water, Eady addresses the death of his father through a style traditional of the Blues, call and response. Brutal Imagination is comprised of two cycles of poems, each confronting the same subject: the black man in white America. The first cycle, which carries the book’s title, is narrated largely by the black kidnapper invented by Susan Smith to cover up the killing of her two small sons. The second cycle, “Running Man,” focuses on the African-American family and the barriers of color and class. The title character represents every African-American male who has crashed into these barriers. These two cycles of poems taken together offer a stark reappraisal of race in America. Eady is also available to perform with his literary band, Rough Magic. Rough Magic is a New York-based band sprung from Cornelius Eady’s long and celebrated literary life, and from his desire to extend the boundaries of language expression to include the songs he had produced over the years and those that had emerged from a renewal of his musical creativity. 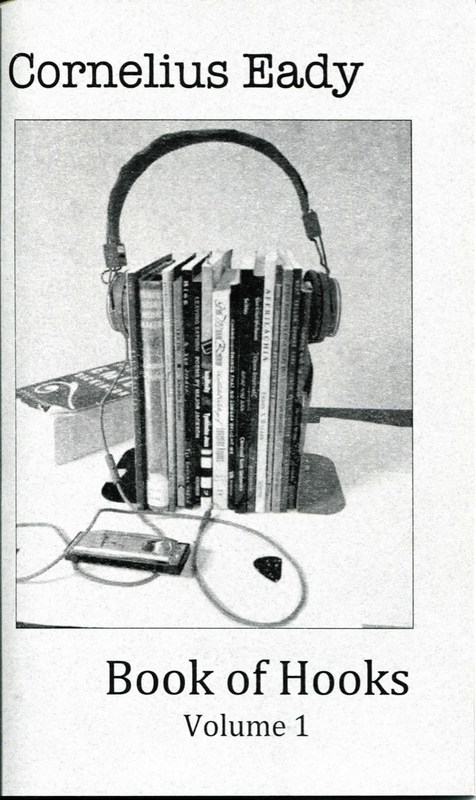 In January of 2013, Eady released Book of Hooks, a two-CD and chapbook set of original tunes on Kattywompus Press. Almost by “magic,” a group of poet-musician-composers converged who shared Eady’s vision that text, melody, harmony, and rhythm all have an equally strong place in artistic expression. Rough Magic calls upon troubadour traditions and evokes the sounds and storytelling of blues greats like Muddy Waters, folk legends such as Woody Guthrie and the unexpected grooves and subject-matters of the Talking Heads. At the same time, band members hold a keen sense of innovation, as they are all working text-and-music makers engaged in building new combinations of words and sounds. Cornelius Eady is also a song writer, and is available to perform with his acoustic Trio, Eady’s songs tell the story of passing time, the Black American experience and the blues in the style of Folk & Americana music. Guitarists Charlie Rauh & Lisa Liu join Eady to create layered and graceful arrangements to bolster Eady’s adept craftsmanship as a songwriter, lyricist, & poet. Cornelius Eady Trio’s debut album called “Field Recordings” was released by Kattywompus Press on vinyl and digital download in February 2017. The album is available for purchase HERE. The Trio released their second album “2 Out of 3” in Spring 2018 on Kattywompus Press. A third, as yet untitled project is stated to be recorded at Sun Studios in Memphis, Tenn, in the Fall of 2018. Cornelius Eady Trio has performed at Smithsonian National Portrait Gallery, AWP Conference, Peabody Essex Museum, and Hill-Stead Museum. Events booked with the Trio will begin with a short reading by Eady followed by a 20-40 minute set with the band. Rauh and Liu also teach, and are also available to teach music/poetry workshops as part of their appearance. Cornelius Eady is the author of several books of poetry, including the critically acclaimed Hardheaded Weather, which was nominated for an NAACP Image Award, Victims of the Latest Dance Craze, winner of the 1985 Lamont Prize from the Academy of American Poets, The Gathering of My Name, which was nominated for the 1992 Pulitzer Prize, and his most recent collection The War Against the Obvious. With poet Toi Derricote, Eady is cofounder of Cave Canem, a national organization for African American poetry and poets. He is the recipient of an NEA Fellowship in Literature, a John Simon Guggenheim Fellowship in Poetry, a Rockefeller Foundation Fellowship to Bellagio, Italy, and The Prairie Schooner Strousse Award. Lyrics of the thirteen songs of the contained CD follow, threading Eady’s familiar preoccupations: the truth of our history; the blues of our daily struggle; the sweetness of our self-delusions and occasionally, our moments of ringing clarity. It is no accident that Eady is already the recipient of a slew of literary awards. Singing While Black underscores his importance, as well, as a contemporary songwriter and musician. Acclaimed poet Cornelius Eady offers not only a new selection of poems, but a knockout duet of poetry and music, performed with such literary and musical luminaries as Charlie Rauh, Joy Harjo, Kim Addonizio, Robin Messing, Emma Alabaster and longtime collaborator and producer Bernie Heveron. Like his poetry, Eady’s songs offer a collective snapshot of the culture of our times, at once exhilarating and heartbreaking, seen through a lens that spares no dark corners. Eady’s focus turns as readily from an aging movie star to poet Adrienne Rich, a bed bug epidemic in NYC, and the shooting of Trayvon Martin. As fearless as his subject matter, Eady’s sonic range and stylistic resilience weave together strains of mainline jazz, Afro-Brazilian-Caribbean beats, rock and folk traditions, in a rich love song to life. Hardheaded Weather is an exciting collection from one of America’s most engaging voices, at once delineating the arc of the poet’s universe and highlighting the range of his talents. 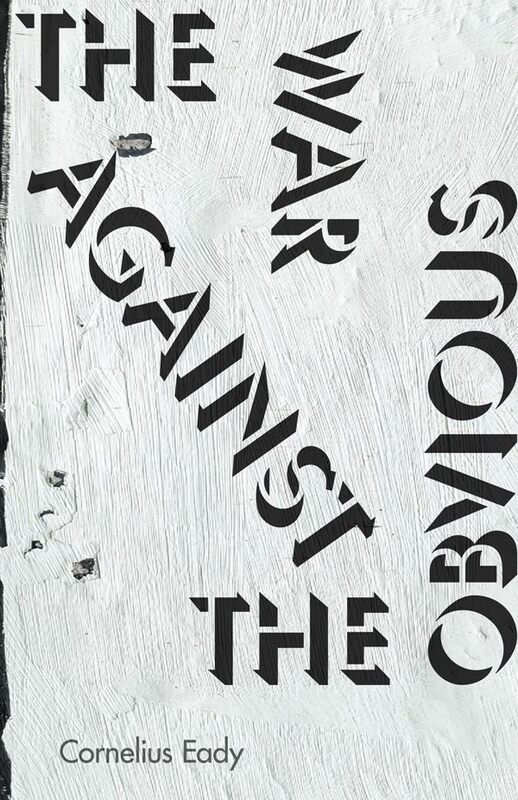 The book opens with “The War Against the Obvious,” a selection of Eady’s newest work. In full control of his considerable skills—and displaying a new maturity as he enters midlife—Eady writes sly, unsentimental, witty poems full of truths that are intimate and profound. The poems encompass a wide territory, reflecting the newfound responsibilities he has assumed as he makes the transition from urban renter to nonplussed rural homeowner, as well as the sobering influence of war and the intimation of his own mortality. Even at his angriest, Eady has always had a depth of compassion rare in our polarized age; and his humor is both sophisticated and demotic, a rare combination. These new poems, which showcase these qualities, will resonate deeply with every reader. The selected poems draw from Eady’s excellent body of work, including his astonishing unpublished manuscript The Modern World. From the outset, he has written about race, family, jazz, and even poetry itself with a voice that is uniquely his own: intelligent and elegant yet informed by street idiom, angry but never didactic. The way he weaves together these subtle juxtapositions with his signature inventiveness, honesty, and verve once again proves Kirkus Reviews’ declaration that “Eady’s touch is masterly. “These poems present the best of his work, and, taken as a whole, form a moving—and sometimes searing—testament to the power of poetry. Brutal Imagination is the work of a poet at the peak of his considerable powers. Its two central sections—which could be called song cycles—confront the same subject: the black man in America. The first, which carries the book’s title, deals with the vision of the black man in white imagination. Narrated largely by the black kidnapper that Susan Smith invented to cover up the killing of her two sons, the cycle displays all of Mr. Eady’s range: his deft wit, inventiveness, and skillfully targeted anger, and the way in which he combines the subtle with the charged, street idiom with elegant inversions, harsh images with the sweetly ordinary. The furnace wheezes like a drenched lung. The toilet babbles like a speed freak. The fuse box is a nest of rattlers. The screens yawn the bees through. Your fingers are dumb against the hammer. Your eyes can’t tell plumb from plums. The ice turns the power lines to brittle candy. No one schooled you in spare parts. The rattle coughs up something sinister. An easy fix, but not for you. Then smiles like an adult.